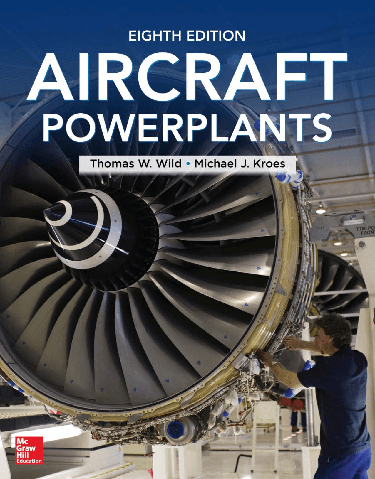 Fully revised to cover the latest industry advances, Aircraft Powerplants, Eighth Edition, prepares you for certification as an FAA powerplant technician in accordance with the Federal Aviation Regulations (FAR). This authoritative text has been updated to reflect recent changes in FAR Part 147. This new edition features expanded coverage of turbine-engine theory and nomenclature; current models of turbofan, turboprop, and turboshaft engines; and up-to-date details on turbine-engine fuel, oil, and ignition systems. Important information on how individual components and systems operate together is integrated throughout the text. Clear photos of various components and a full-color insert of diagrams and systems are included. Review questions at the end of each chapter enable you to check your knowledge of the topics presented in this practical resource.